Just throw it in the microwave, husks and all! Microwave for 3 1/2 minutes and you're done. Easy peasy! I was kind of skeptical because it seemed too good to be true. But the next time I cooked some corn I tried it in the microwave, and it was absolutely perfect. 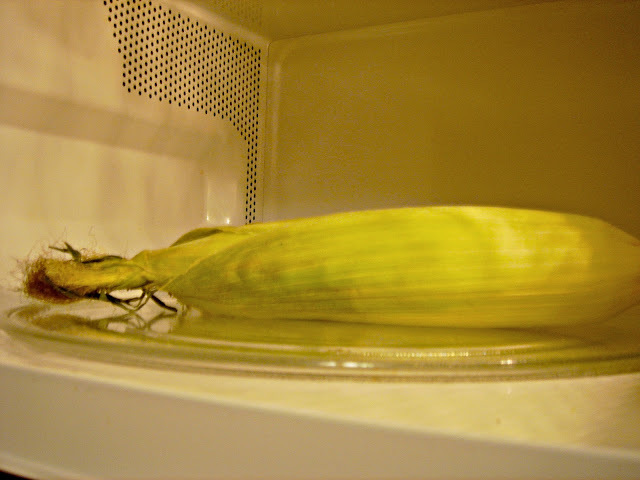 We had some corn tonight with our dinner and I loved how easy it was to just throw it in the microwave and butter and salt it when I was ready. Speaking of butter, here's a great tip for buttering your corn. It's kind of hard to spread butter directly on the corn, so I use a much easier method. Take a piece of bread (the heel is ideal since most people throw them away anyway) and spread some butter on it. 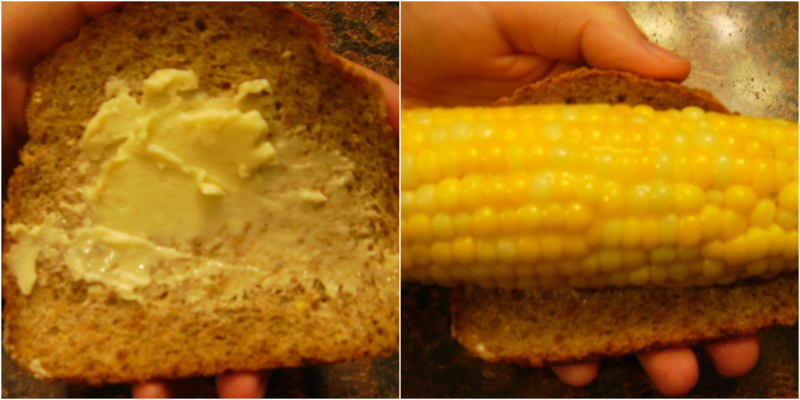 Then just roll the piece of buttered bread over your corn and it will get it perfectly covered in buttery goodness. I grew up using this trick and haven't stopped yet. Thanks, Mom!